It takes a lot for me to purchase jewelry normally as it has to be something that really stands out OR fits my style where I can where it daily no matter what I'm doing. I took notice a while back when a friend of mine and fellow blogger was wearing one of the family necklaces from Pretty Peacock that I just fell in love with. I knew this would be a brand that I wanted to work with since they shared the same values I did as well as a young trendy style which I loved. "The Pretty Peacock first emerged into existence as a way to feed a creative soul. It has since evolved into a passion to design pieces that show off our love for our little ones, celebrate a union, commemorate an achievement, remember a special moment, or an important place - the most essential aspects of life that make it our own." My first thoughts when I read this was how beautiful and then I checked out everything they had to offer and I was in awe. This is such meaningful jewelry that truly represents the beautiful parts of our lives. Thankfully they agreed to work with me on one of their newest jewelry lines this holiday season. I was given the opportunity to review the Under the Light of This Moon - Custom Moon Phase Pendant Gift. Each pendant represents a specific moment and the moon phase at that time. What's even better is that you don't have to know the moon phase yourself. All you need is the date, event, and location of your event. 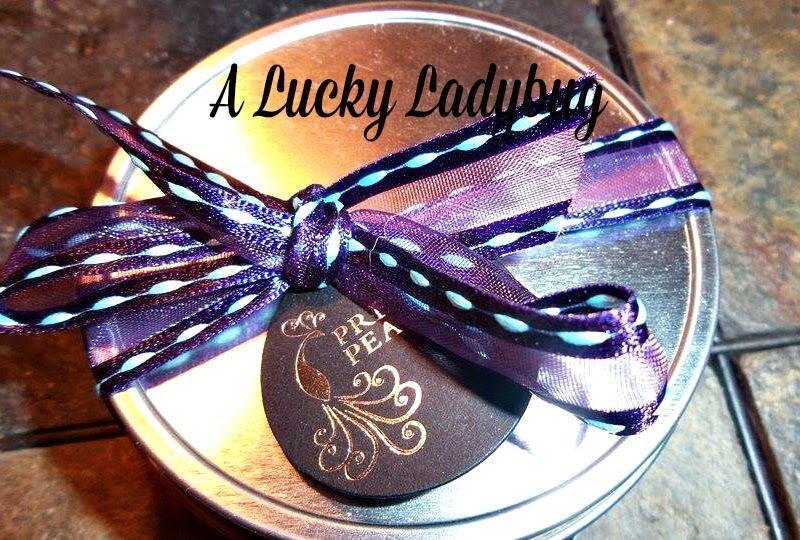 The team over at Pretty Peacock does the rest of the research. You are then sent over a solid, sterling silver pendant with a handwritten presentation card with your moon phase. 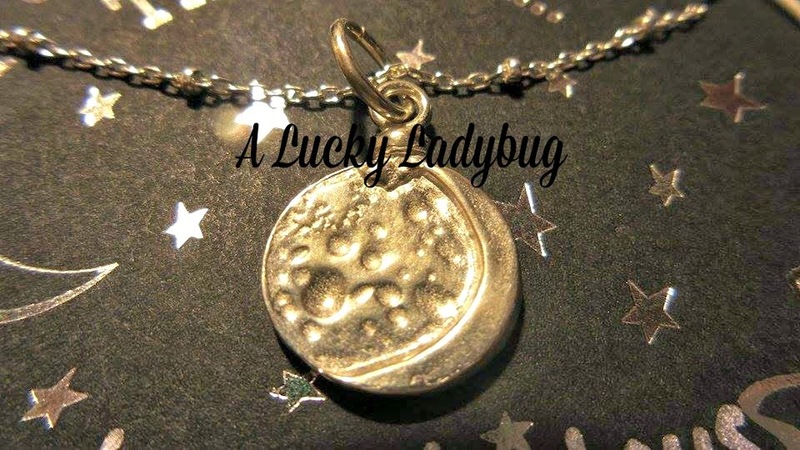 Not only am I a big fan of all things astrological, I found this necklace to be perfect for my media groups holiday event being that it is all about special occasions and moments celebrated under the moon. Just in case you were not aware my media groups acronym is M.O.O.N. I decided to go with our wedding date since I have three children to choose from. Not only did I not know what the moon look like the day we got married but now I forever have a keepsake of our moment under the stars. This is something that I actually plan on holding on to and passing down to my daughter one day so she can remember the day in her own way. 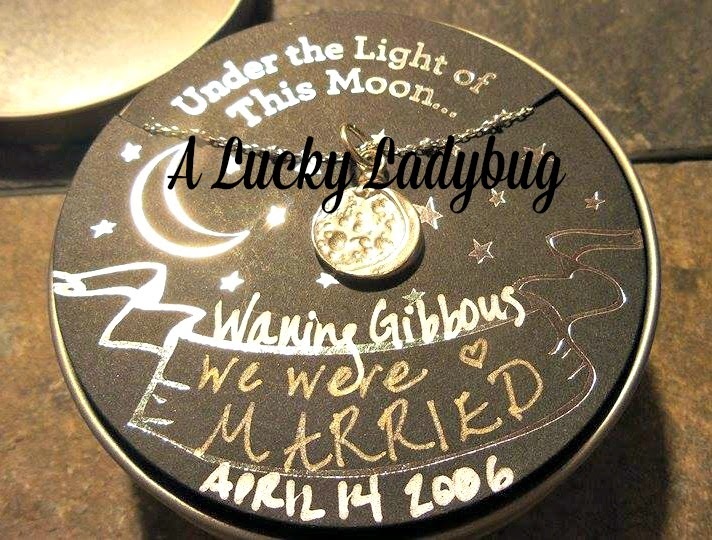 Giveaway: The Pretty Peacock is going to give one of A Lucky Ladybug's lucky readers a Under the Light of This Moon - Custom Moon Phase Pendant Gift of their own!